First and foremost I joined Vitality because of the people. When I first tried one of the friends and family days, I really enjoyed the energy and the attitude that was portrayed. That has not changed even after 6 months! I also appreciated having a trainer at each class and someone to watch my form. My number one goal in joining is "DON'T GET HURT" and having these trainers makes that an easier proposition. I definitely feel like I have progressed through these past few months. I feel much healthier and stronger. I have converted a good bit of fat to muscle (and have plenty more to go). When I look around at everyone at the gym, they are all friendly faces and people that are easy to talk to. One of my goals is to lose 50 pounds total while converting the fat to muscle and getting stronger and stronger. I feel I am definitely on my way to this goal. My other goal that I have been achieving is to make it to the gym at least 3 times per week. I usually exceed this number but at least I have that goal in mind. I describe vitality as a fun atmosphere while also getting your workout done. I also say that this is a gym that is open to all shapes and sizes without discriminating in any way. From that night on, I could picture him being a member of our gym and sure enough one year later, he pops into a Friends & Family Day with his wife. The rest is history. I like to consider Colin as VBK’s pastor. He is always preaching the good word of Vitality- he can sell our gym better than any of us who work here. Colin’s commitment is consistent as is his search for knowledge. Colin is very good at asking the right questions. He is always encouraging and friendly to new faces. 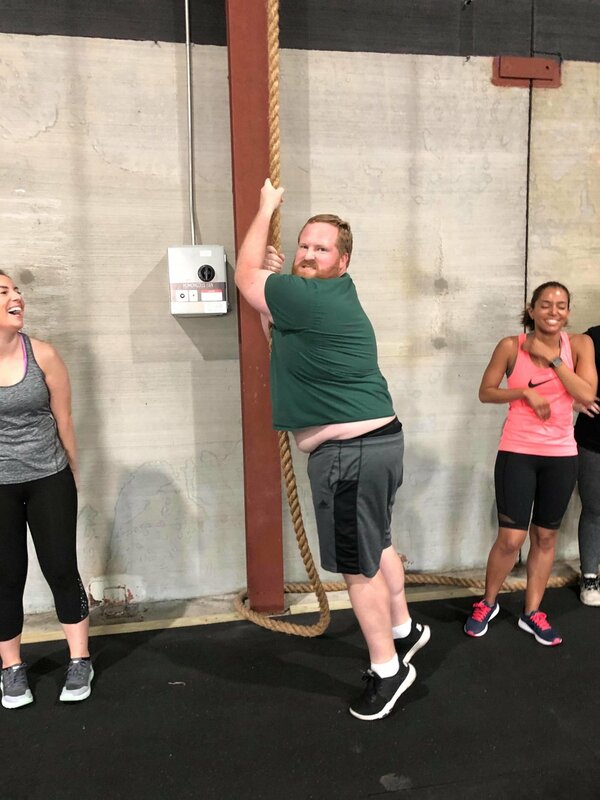 I am so proud of Colin, and proud to get to watch him on his fitness journey. I wish I could have 50 more Colin’s in our gym, but that is the thing: There is only one Colin Sternhell! I am lucky to call him a friend and a member.